«Before seeing me» illustrated quotation. Gratitude to mothers, free quote pictures for Facebook, Twitter, LinkedIn, Reddit, Pinterest and other social networks. 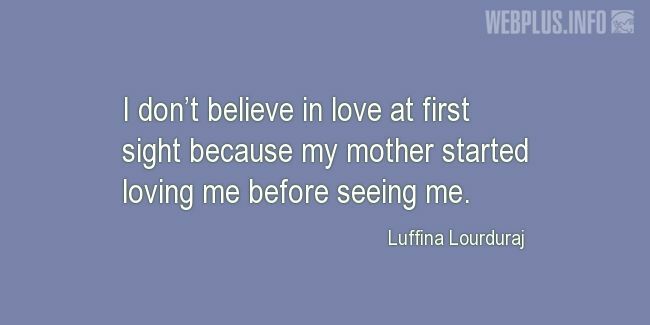 I don’t believe in love at first sight because my mother started loving me before seeing me.